New template YT Vox for CMS Joomla is a universal base, which is equally suitable for both news portals and sites for sports, music and much more. 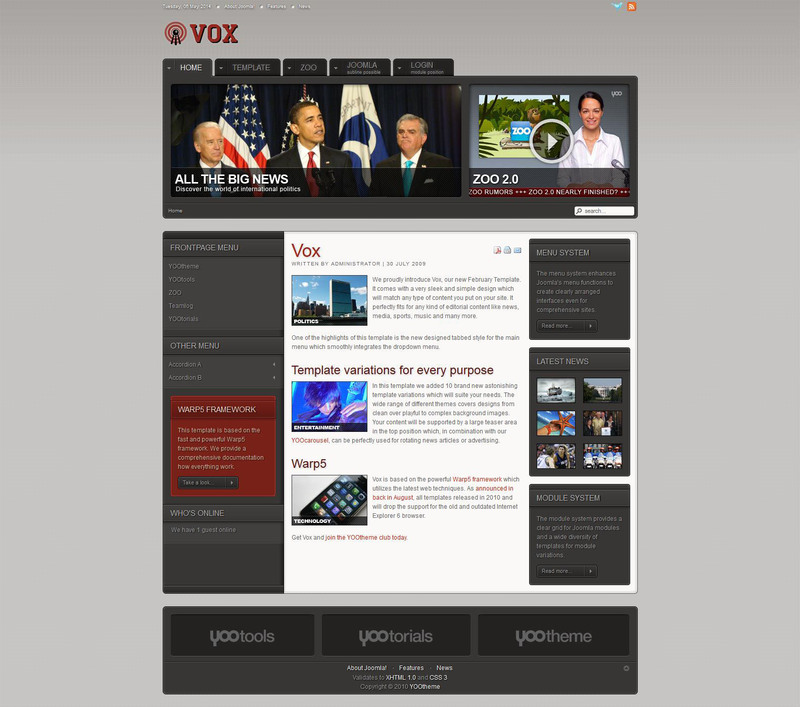 Template YT Vox has a simple and unobtrusive design. In order to emphasize the theme of the site, the template can be used YT Vox special themed backgrounds. If none of them do not like, it is permissible to use their own findings and drawings. A good solution in the template YT Vox is the presence of the upper part of a special module, which is great for display advertising as well as news. Template YT Vox is based on the Warp5 Framework which involves the use when creating only the latest developments in web design.